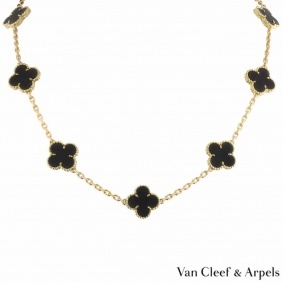 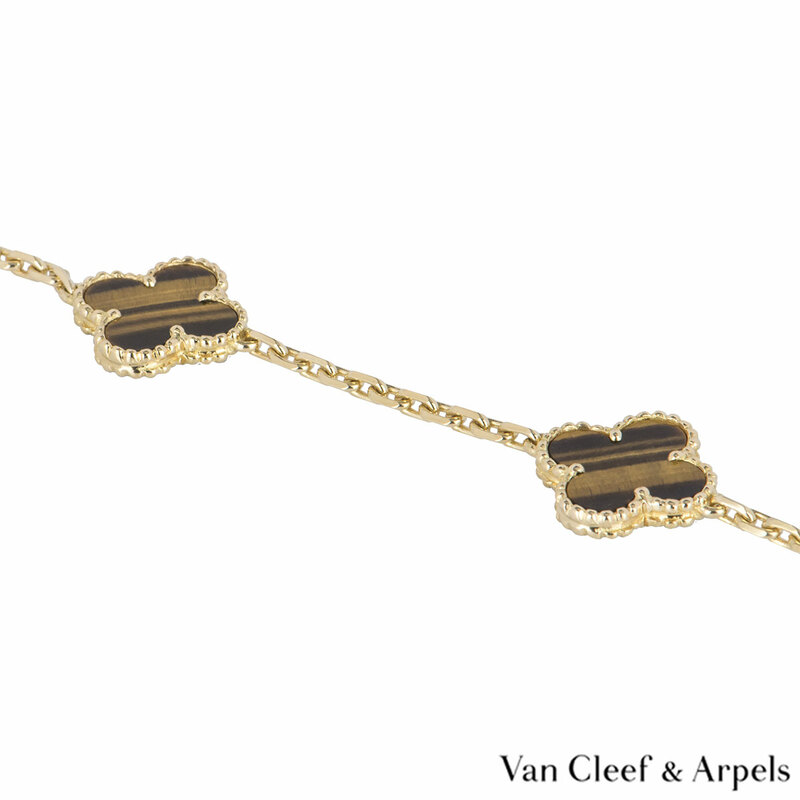 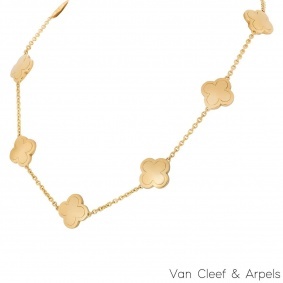 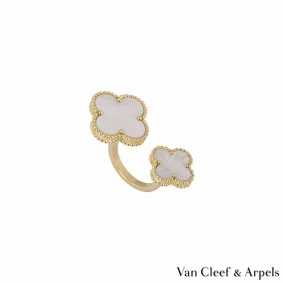 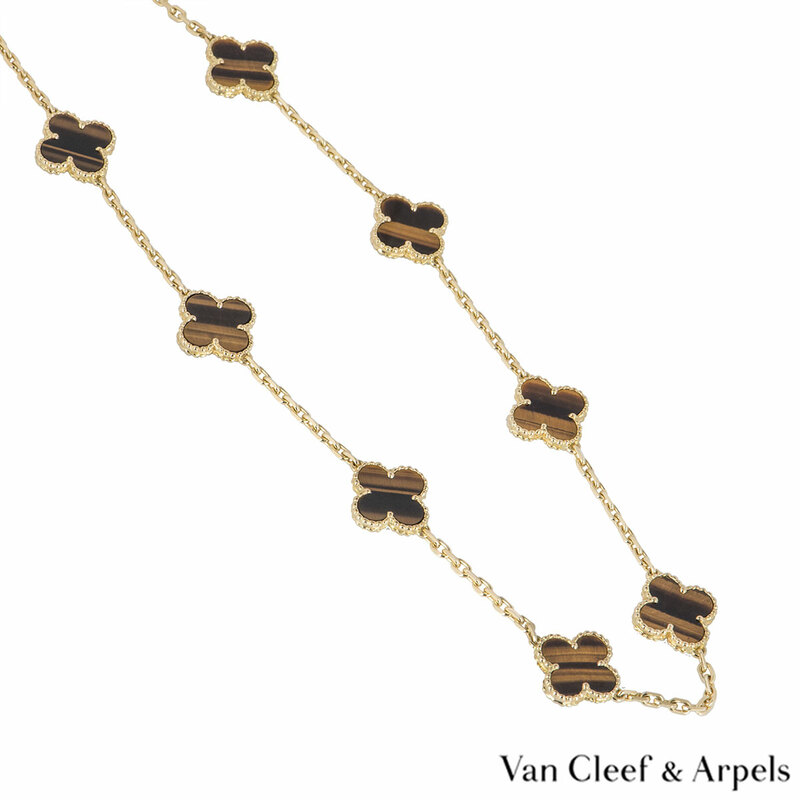 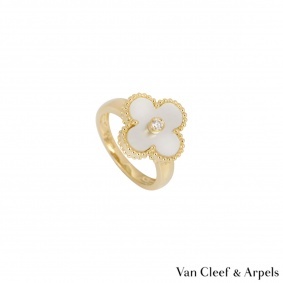 An iconic 18k yellow gold and tiger's eye necklace by Van Cleef and Arpels from the Vintage Alhambra collection. 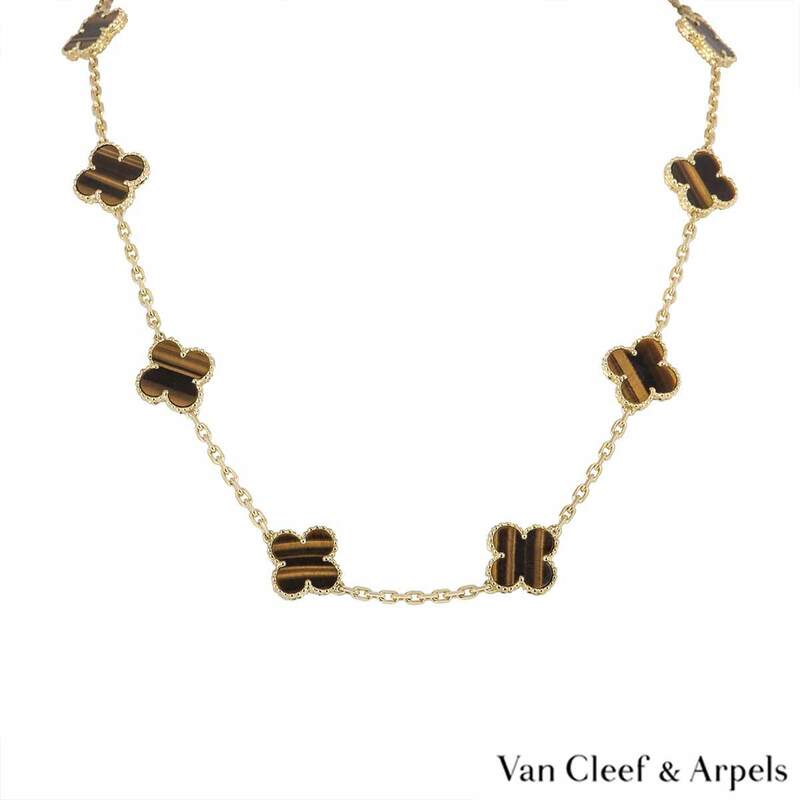 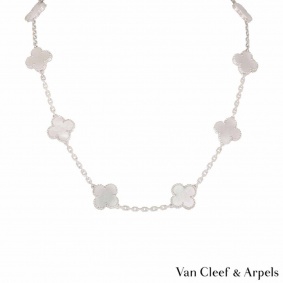 The necklace comprises of 10 iconic 4 leaf clover motifs, each set with a beaded edge and an tiger's eye inlay. 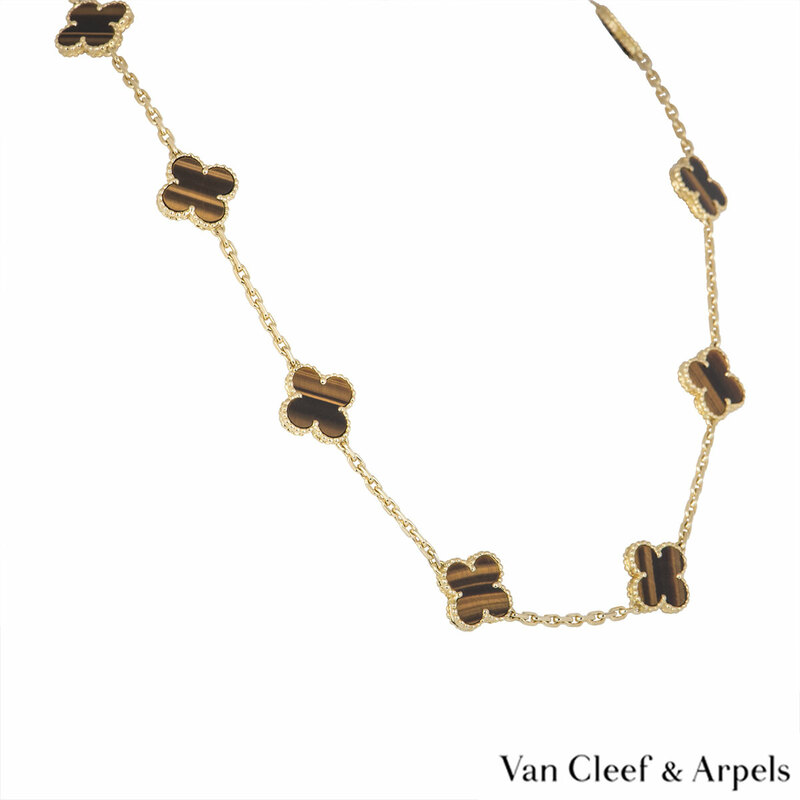 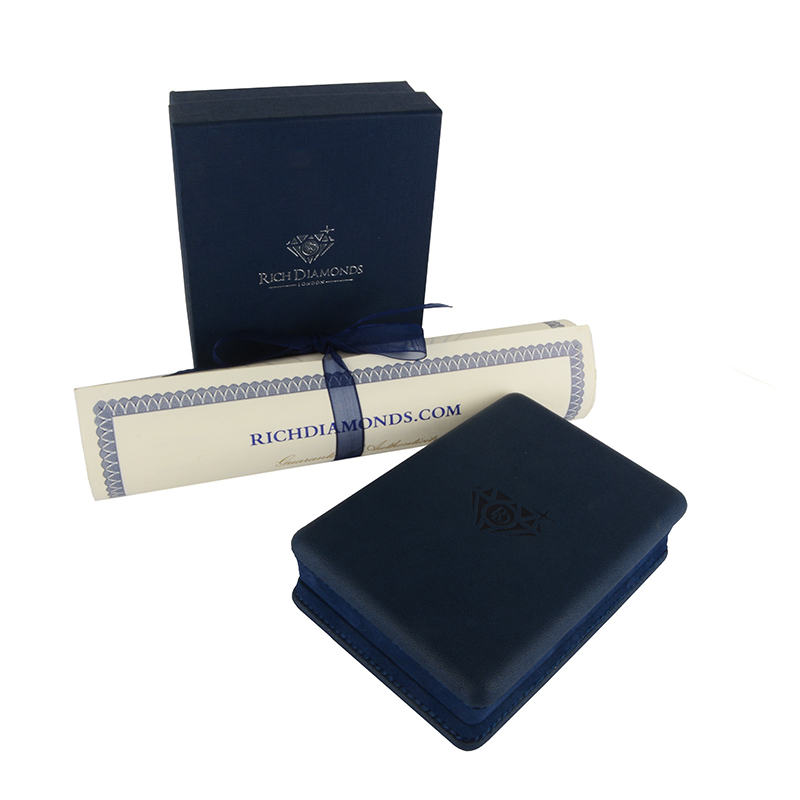 The necklace measures 17 inches in length, features a lobster clasp and has a gross weight of 22.78 grams.